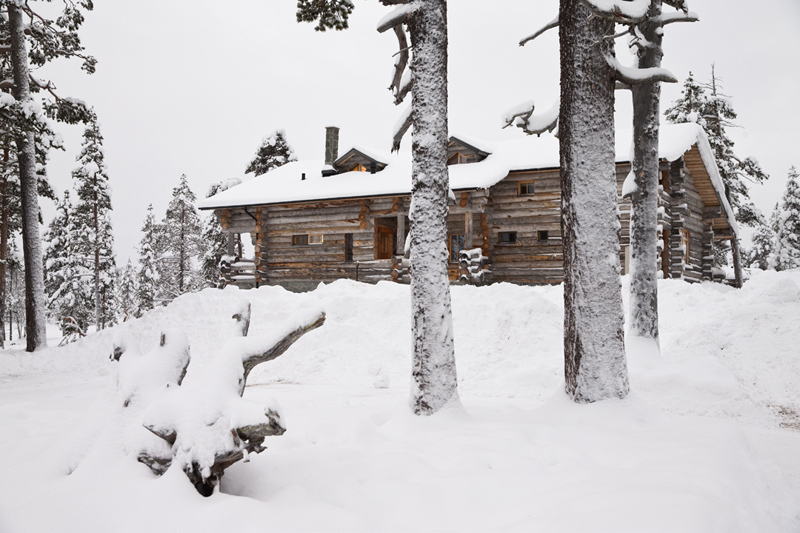 Imagine arriving at your own snow-clad log cabin in the glistening white woodland at Christmas, in charming Saariselkä, Europe’s northernmost holiday resort, above the Arctic Circle (you even get an Arctic Crossing Certificate!). It may be cold outside but our attractive, authentic log cabins are waiting, with a festive helper ready to offer you and your family a warm and friendly welcome and home-from-home comforts during your snow holidays. They will help you prepare for your day by providing a delicious, hearty breakfast. Then put on your complimentary Arctic thermal suits, ready to indulge in fun-filled activities amidst dazzling snow-cloaked scenery. How about whizzing down the slopes on toboggans and whooshing around on a thrilling Husky-sled ride for example? Some of the highlights of our snow holidays are the reindeer sleigh rides into the woods and the snowmobile-sleigh ride to visit Santa to have your own private family chat. Santa's mischievous elves will help you find him in his log cabin home. The elves also love to have snowball games so watch out! 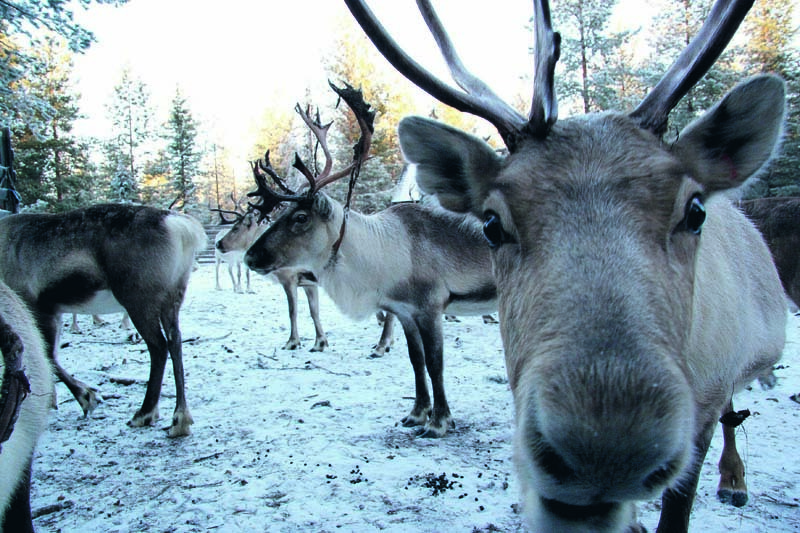 Don’t forget to take some photos of your meeting with Santa for the family album, and share all your Christmas wishes with him, before heading out to visit his Reindeer Centre and feed the animals. exploring inside Igloo Fantasia and Elf Wonderland, where Santa’s Christmas helpers are checking every child’s present request. Join in all the fun and games! marvelling at exquisite Ice sculptures in the Artistic Igloo. indulging in scrumptious snacks and drinks in the Ice bar. playing Snow Hockey with Santa’s helpers. traditional Lappish Ice Fishing through a hole in the ice on a frozen lake. mini Skidoo snowmobiles for the children to ride. You can add extras like skiing, Cross-country skiing and Snow Shoeing. You can even glide across the snow on a Snowmobile Safari to search for the mesmerising Northern Lights - and sip a warming drink round the campfire while watching the glowing sky. When you’re enjoying new adventures, your festive helper will be busy in your log cabin laying a welcoming fire for your return, as well as preparing a tasty three-course meal (with complimentary wine and soft drinks). Evenings are a lovely time for your family and friends to share stories about their day. Or perhaps you fancy relaxing in a fragrant sauna - the Finnish way to unwind! Choose three or four-day snow holidays on our Santa’s Magic trips. In one of Santa’s delightful Christmas log cabins you’ll have everything you need for the adventure of a lifetime. Hurry though as, unsurprisingly, our log cabins are very popular! Book early for extra discounts off children’s prices.